Like something from the twisted mind of Cruella De Vil, Chinese slaughterhouses are torturing and killing dogs to make leather gloves, belts, and other accessories for export around the world, according to People for the Ethical Treatment of Animals. In explicit new footage, obtained by the animal-rights group during a year-long investigation in the country's Jiangsu province, workers are seen strangling hapless animals with metal nooses, bashing them over the head with wooden poles, slicing their throats or, in some cases, skinning the dogs alive. Even PETA's description of the footage makes for tough reading. "Some dogs fell unconscious, while others cried out and writhed in agony," the organization writes on its website. "Dogs who were next in line for slaughter wailed and barked as a worker hit them in an effort to get them to walk more slowly." While dog meat is a popular cuisine in the region, the video marks the first time PETA has documented the production of Chinese dog leather on camera. One slaughterhouse employee told a PETA investigator that his facility bludgeons and skins 100 to 200 dogs a day. The owner of another plant estimated that he had about 30,000 pieces of semi-processed dog leather in stock. Although dog skin yields a poorer-quality leather than sheep or cow hide, it’s also cheaper to make. Lackluster enforcement of animal-slaughter standards, coupled with a lack of transparency from producers, means that dog leather may be more ubiquitous than we think. With leather gloves and other accessories topping many a holiday gift list, PETA urges shoppers—dog lovers, in particular—to eschew the material altogether. What brands are they sold under? OK...not buying leather products out of China! Although dog skin yields a poorer-quality leather than sheep or cow hide, it's also cheaper to make. Lackluster enforcement of animal-slaughter standards, coupled with a lack of transparency from producers, means that dog leather may be more ubiquitous than we think. 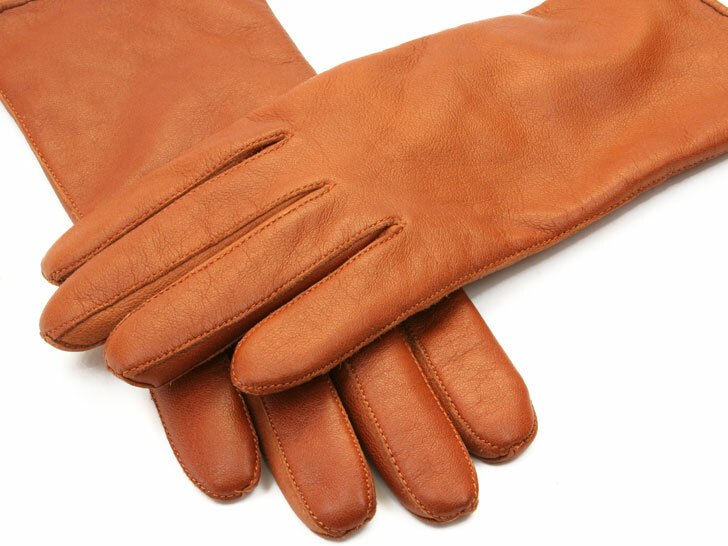 "Now that so many mass-market retailers are importing cheap leather from China, who can tell if that trim or those leather gloves or wallets are made out of dog skin or not?" says Ingrid E. Newkirk, president of PETA. "PETA is calling on shoppers worldwide to remember the terror that dogs and other animals endure at slaughter and make the safe, vegan choice in clothing and accessories for the holidays and every day."